While a professional tax adviser may help in certain situations, in many cases taxes can be relatively simple. Like many things in life, once you've filed your own taxes once, a lot of the drama vanishes. If you've never filed your own taxes, you might be scared off by all the mystery and complexity that seemingly surrounds the process. However, like many things in life, once you've filed your own taxes once, a lot of the drama vanishes. While a professional tax adviser may help in certain situations, in many cases taxes can be relatively simple. Hiring a professional may not have the effect you think in terms of audit protection or liability. The popular press makes taxes seem complicated by quoting politicians demanding reform and referencing just how many volumes the tax code fills. In reality, the vast majority of taxpayers don't have to worry about most of the tax code, which applies to very specific situations. Although times are changing, most American taxpayers still hold a "traditional" job, work for an employer, and receive a W-2 filled with tax information at the end of the year. Patrick Summar, a Redondo Beach, California-based business and life coach for business owners, says that for the typical employee, taxes need not be overly complicated. "There will always be situations in which hiring outside help makes sense, particularly if you run a business or have extensive investment assets," says Summar. "But if you are the employee of someone else's business with no outside investments, then keep it simple, because it is simple!" While you shouldn't avoid itemizing if you have the requisite expenses, for most taxpayers this isn't an issue—more than half of all taxpayers don't even itemize deductions, using the standard deduction instead. This makes doing your own taxes a much simpler process. For the self-employed, you can follow instructions which the Internal Revenue Service provides annually for free. You can list your income, subtract your deductions and credits, and arrive at the correct amount of tax you owe all on your own. If you feel better getting a second opinion, an online or software-based tax preparation service like TurboTax can provide all the help you need. 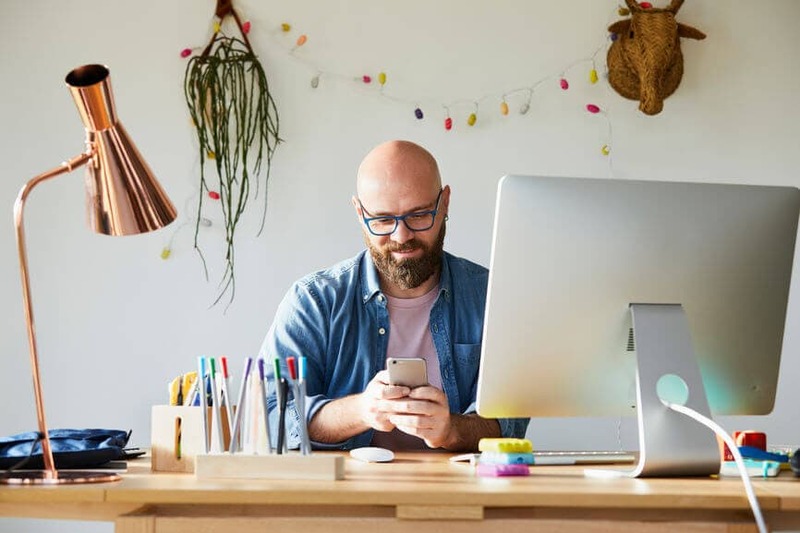 TurboTax even lets you speak with tax professionals like CPAs, EAs and tax attorneys for free by phone or live chat, in the event you run into any questions. Doing your own taxes in and of itself doesn't make you more likely to be audited. Similarly, having someone else do your taxes doesn't necessarily make it less likely that you'll be audited. Since the IRS can't possibly review in detail every single tax return it receives, it has a series of triggers that flag suspected returns for further review. If your return carries any of these red flags, it might not matter whether you did your taxes yourself or used the highest-priced accountants you could find. According to Summar, "Professional tax preparers may be less likely to make certain errors, since they are more familiar with the tax filing process in general, but hiring one is no guarantee you will be shielded from an audit." When you use TurboTax to prepare your taxes, you automatically gain access to our Audit Support Center, and can talk to our tax professionals year-round, in the unlikely event you are audited. Some taxpayers believe that if they don't make enough money they don't have to file a tax return. While in some cases this may be true, they are considerably rarer than you might imagine. From a straight income perspective, you have to file a tax return for 2018 if your gross income is above $12,000 for single filers, or $24,000 for married taxpayers filing jointly.